I have had a problem with extremely dry skin for several years. The dermatologist said the diabetes and thyroid problems I have also contribute to the problem. When the itch about drives me crazy I can shower with the sheep milk soap and that does more good than all the medications and/or lotions I have used over a period of 3 years. Dry, winter air can deplete your skin of moisture leaving you with dry, cracked, red, itchy and painful skin. 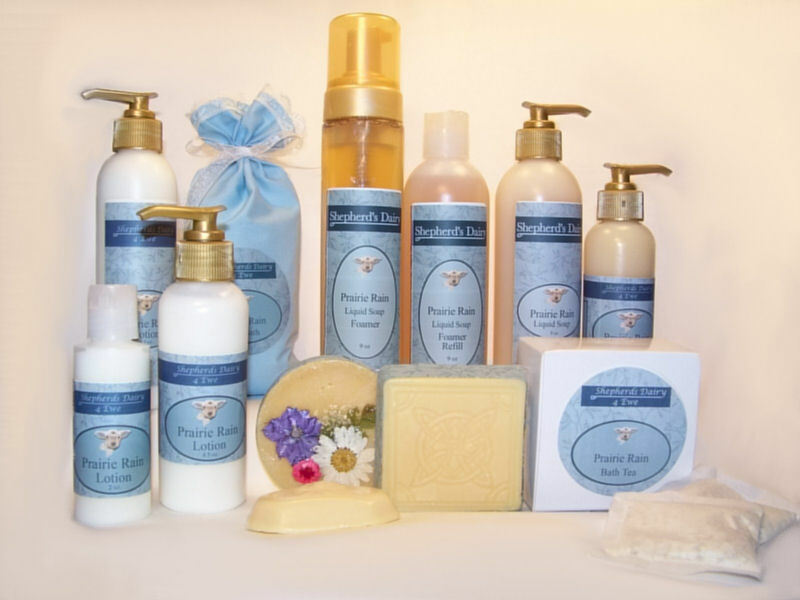 Shepherd's Dairy soap, lotion, milk bath and bath tea contain sheep milk. Sheep milk replaces vital moisture. It smoothes, firms and softens skin. Know True Peace and Joy! Why is Sheep Milk Good for Your Skin? Sheep milk has a high butterfat content - about twice as much as in cow's milk, and more than goat's milk. Lactic acid in sheep milk has been shown to help remove dead skin cells while the lipids in the butterfat help hold moisture in. Lactic acid can also help even out pigmentation in your skin and can play an important role in the treatment of sun damaged skin. Lactose in the milk of mammals leaves skin feeling silky smooth and with a hydrated appearance. It's an effective and softening skin cleanser. Milk proteins smooth, firm and soften. Other ingredients are pure vegetable oils, (including olive, sunflower and canola oil) and good quality fragrance oils.